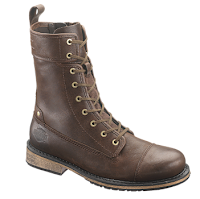 More boot, more to love. No? Harley Davidson Footwear's Kelton boot is part military combat and part downtown stomp around. 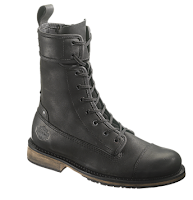 First, its built miilitary tough with a Goodyear welted sole and tough leather upper and then it's anchored with features that you will only experience after you own a pair. Features like the full length cushion sock lining and the cool distressing that makes the boot only more attractive and it gets older. The 8.5 inch shaft height offers a cool edge for cropped and cuffed trousers. 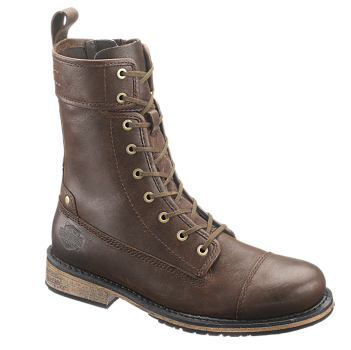 Available now in brown and black at Harley-Davidson Footwear.